If you can’t get to France, maybe these set-in France crime novels will tide you over? Crime fiction columnist Adam Woog looks at Cara Black's beguiling "Murder on the Left Bank," Martin Walker's "A Taste for Vengeance," and Jean-Luc Bannalec's satisfying "The Fleur de Sel Murders." Ah, France! Always an appealing destination. If you can’t hop a plane, maybe these recent crime novels will compensate. 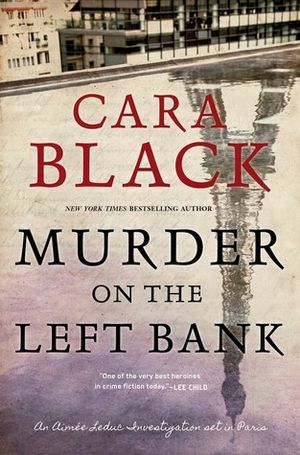 Cara Black’s Aimée Leduc is a gem: a stylish, brave private detective (and new mom) who zips around Paris on a scooter, this time confronting “Murder on the Left Bank” (Soho, 288 pp., $27.95). An elderly man tries to deliver a notebook — evidence of deep police corruption — to the authorities, but the courier is murdered and the document disappears. Enter Leduc, whose investigation reveals a shadowy organization with connections to her policeman father’s death years earlier. Along the way, Black treats us to another of her beguiling tours of some of Paris’ little-known corners. 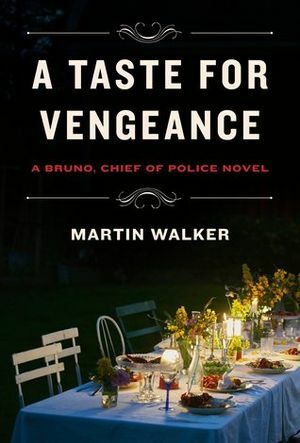 “A Taste for Vengeance” (Knopf, 352 pp., $25.95) is Martin Walker’s latest starring the astute, food-loving cop Bruno Courrèges. Bruno, chief of police in the Dordogne village of St. Denis, has recently been promoted — a mixed blessing. There’s a lot on his plate, literally and otherwise. When not cooking or eating, Bruno chafes at red tape, worries about an ambitious policewoman, and mentors a star player on the local women’s rugby team. Oh, and there’s either a murder-suicide or a double murder: of an Englishwoman scheduled to attend a cooking course and an enigmatic Irishman who owned a nearby home. 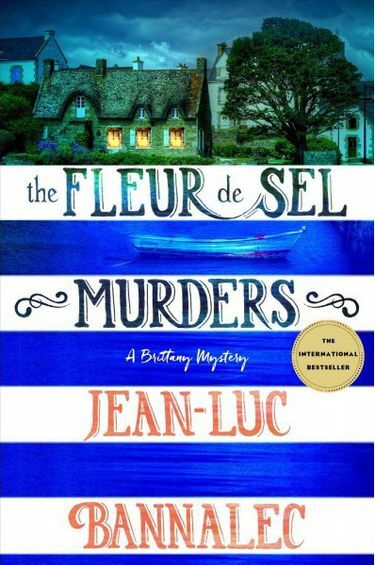 Meanwhile, Jean-Luc Bannalec (the pseudonym of German writer/publisher Jörg Bong) offers a satisfying story and a deft portrait of the rugged coast of Brittany with “The Fleur de Sel Murders” (Minotaur, 320 pp., $24.99, translated by Sorcha McDonagh). Police Commissaire Georges Dupin visits the region to investigate strange events around its salt marshes, which produce the famous violet-scented sea salt called fleur de sel. The disappearance of an investigative journalist and an attack on Dupin lead him to scrutinize bad business in the lucrative and sometimes duplicitous salt trade. Cara Black will appear at 2 p.m. Friday, June, 22 at King County Library’s Des Moines branch, 21620 11th Ave. S., Des Moines, 206-824-6066, kcls.org; at 7 p.m. Friday, June 22, at Third Place Books Ravenna, 6504 20th Ave N.E., 206-525-2347, thirdplacebooks.com/Ravenna; and at 2 p.m. Saturday, June 23, at King County Library’s Bothell branch, 18215 98th Ave. N.E., Bothell, 425-486-7811, kcls.org. Martin Walker will appear at 7 p.m. Tuesday, June 19, at Queen Anne Book Company, 1811 Queen Anne Ave. N., 206-284-2427, qabookco.com. Adam Woog’s columns on crime and mystery fiction appear on the second and fourth Sundays of the month in The Seattle Times.